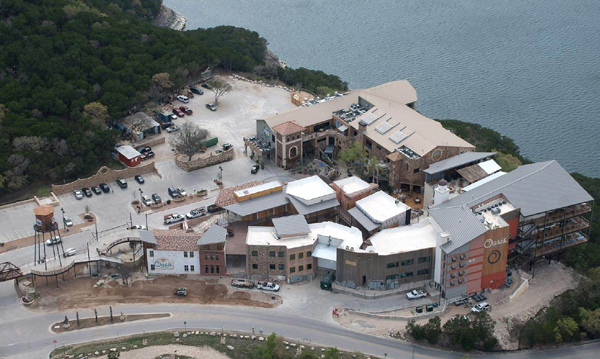 This destination mixed-use development of more than 30 shops and two restaurants shares the same property as the Oasis restaurant and sits on a cliff 450 feet above Lake Travis. One of the goals of the project was to create a European village market. In order to achieve this, local artisans and craftspeople were chosen to respond to the climate and character of the site with local building materials and found objects. The development included two new restaurants. Uncle Billy’s Brew & Que is built with rough and reclaimed wood and decorative pressed tin; the brewery and restaurant are distinctly Texas rustic and have a comfortable down-home feeling of traditional barbeque joints. 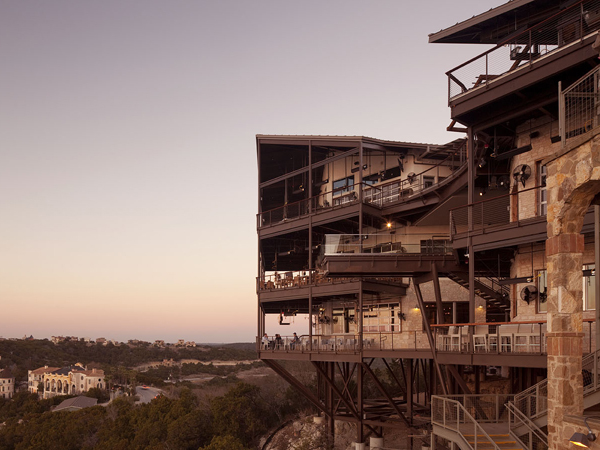 Large garage doors open to the spectacular views of Lake Travis at sunset. Both levels are designed to showcase the largest allowable in-house brewery that operates on both floors of the restaurant. 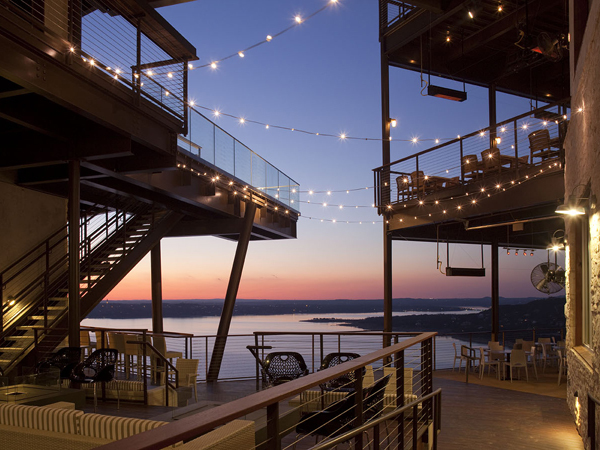 Soleil, the second restaurant, draws inspiration from the location on Lake Austin. Generously sized balconies accommodate outdoor seating with excellent views of the sunset while the open perimeter doors invite cool breezes to flow into the core of the restaurant.